Dan Li wrote her dissertation on parental mediation of children’s television viewing. 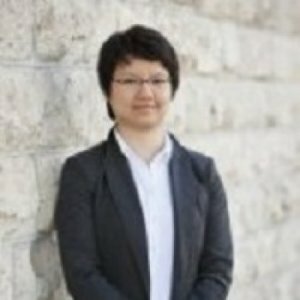 Dan grew up in China and moved to Milwaukee in 2003 to pursue her M.A. in mass communication at Marquette University. After earning the degree in 2005, she attended Northwestern University for her Ph.D. in media, technology, and society. While working on her dissertation on parental mediation of children’s television viewing, Dan moved to Manhattan and joined the IDEA Center research team in 2011. Having spent most of her life in metropolitan areas, Dan enjoys the peaceful atmosphere in Manhattan and looks forward to stargazing in the summer. In the January/February issue of Change, Carl Wieman argues, in “A Better Way to Evaluate Undergraduate Teaching,” the current methods of evaluating teaching effectiveness in higher education lack validity and do little to offer the means for improvement. Most institutions of higher education have some system in place for collecting student ratings of instruction (SRI) data from classes on a systematic basis. SRIs are a relatively simple way of gauging student perceptions of teaching and the course.